Although there’s no information about which specific flavors of nun—singing, Flying, Katy Perry-hating, On The Run—the show will center on, Variety describes the main characters as “a group of Catholic nuns fighting the closure of their Bronx-based convent, who must suddenly deal with three young novices whose arrival unearths long-buried secrets.” So yeah, even if this wasn’t coming from The House That How To Get Away With Murder Built, it’s a pretty safe bet that a show delving into the secrets underpinning a Catholic church is going to get pretty dark before it reaches its end. The purchase of Untitled Nun Project: Get In The Habit comes less than a week after ABC bought a comedy, Splitsville, from the company. (A new legal drama, The Catch, is also in the works.) 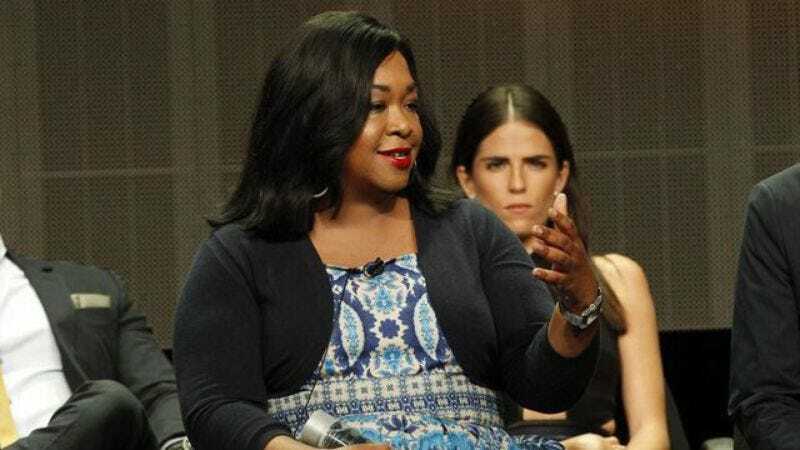 We can only imagine how hectic things must be at Shondaland HQ right now, with interns and writers looking under couch cushions and behind the sofas, desperately searching for a few more pitch ideas and hastily scrawled-upon cocktail napkins that they can toss at ABC while the iron is still hot and ready to strike.